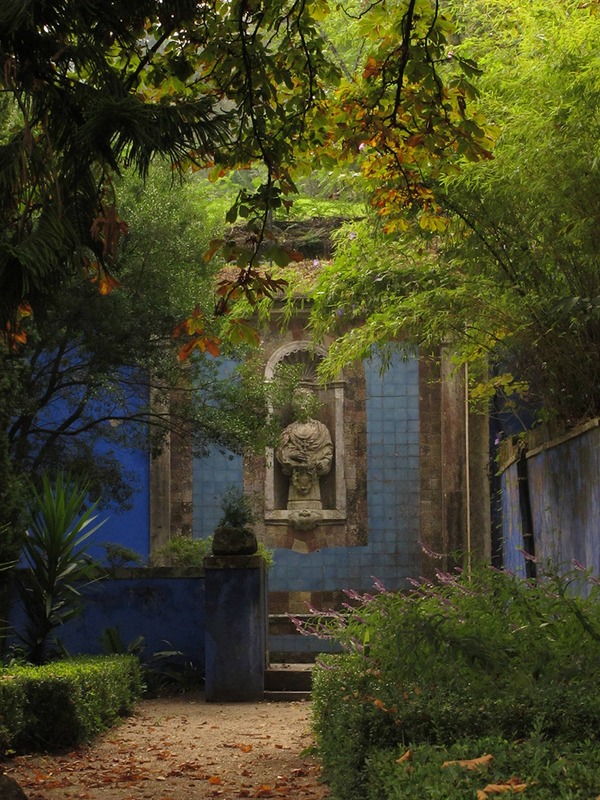 Comprises four juxtaposed gardens: The formal garden, The Garden of Venus, the Casa do Fresco and the Chapel terrace. 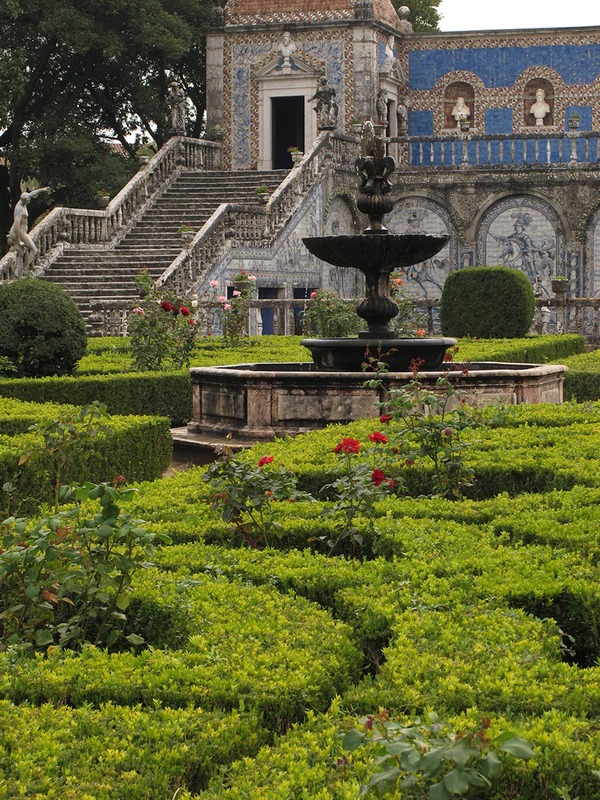 The formal garden is north of the palace and features boxwood hedges in a cruciform arrangement and a fountain at the center adorned with an armillary sphere, an heraldic element that recalls the period of Portuguese maritime dominance. 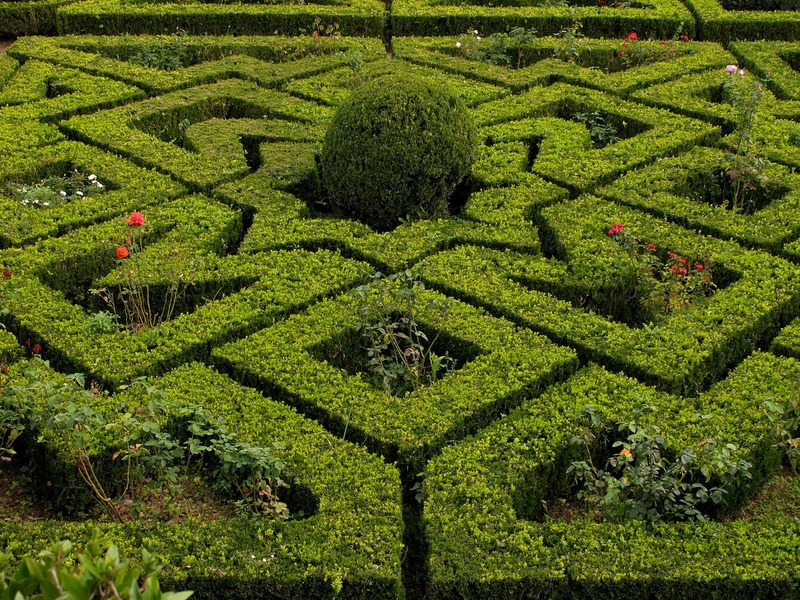 This geometric layout is complemented with rose bushes planted within the boxwood quadrants and with a series of lead sculptures of mythological characters on marble pedestals. 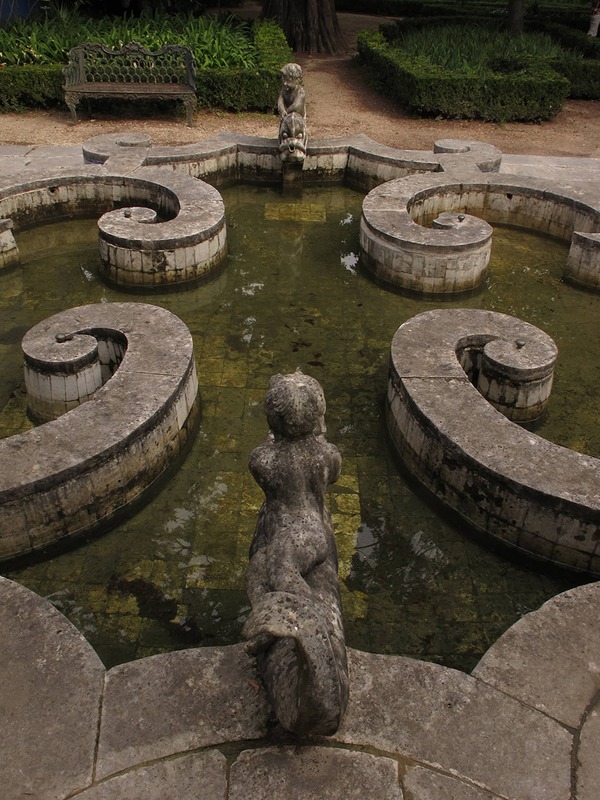 A complex structure encompassing a large pool with a tile facade depicting various members of the Mascarenhas family on horseback, and a central niche with a sculptural representation of Mount Parnassus with Pegasus and the muses is located on the eastern end the garden. 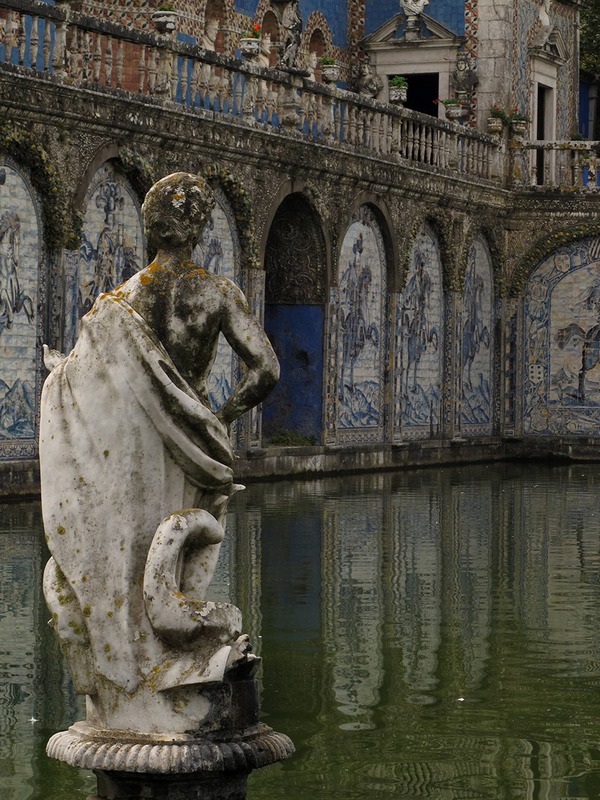 The stairways on both sides of the pool lead to the Terrace of Kings, flanked by tile-covered pavilions with niches displaying busts of Portuguese kings. 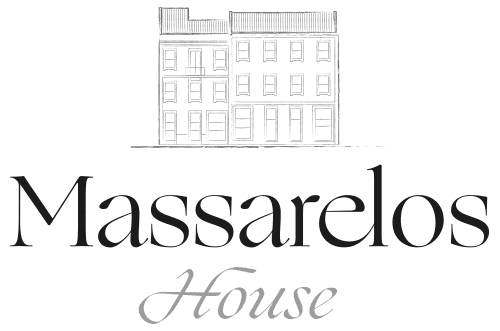 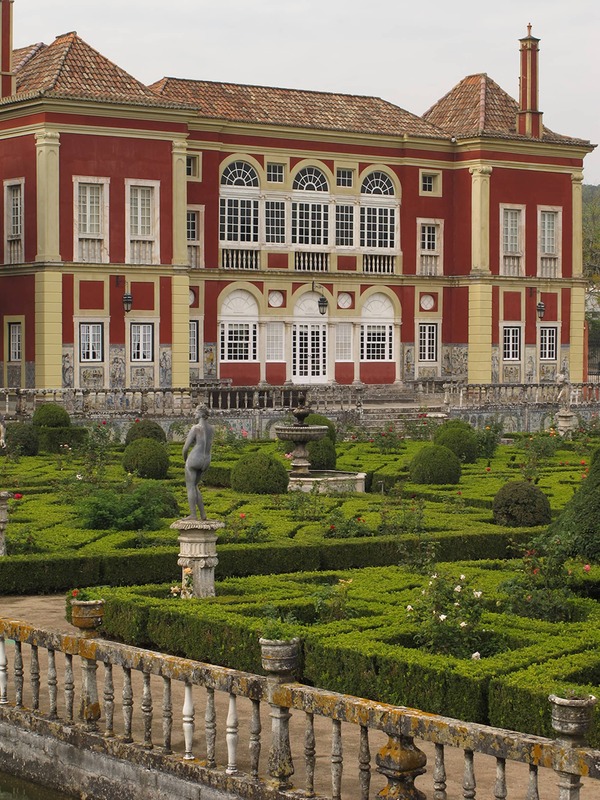 The entire arrangement pays tribute to the Portuguese dynasty and the Restoration War in which the first Marquês of Fronteira, Dom João Mascarenhas, the garden’s builder, played a major role. 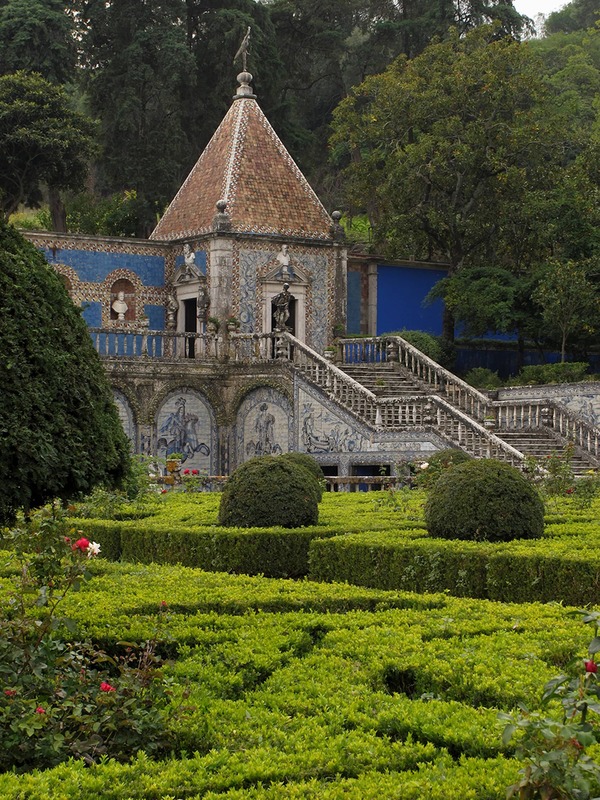 Its distinctive pool, architecture, view of the garden from the elevated Terrace of Kings, and the extensive tile work, make this garden one of the best—and best preserved—examples of classic Portuguese landscaping. 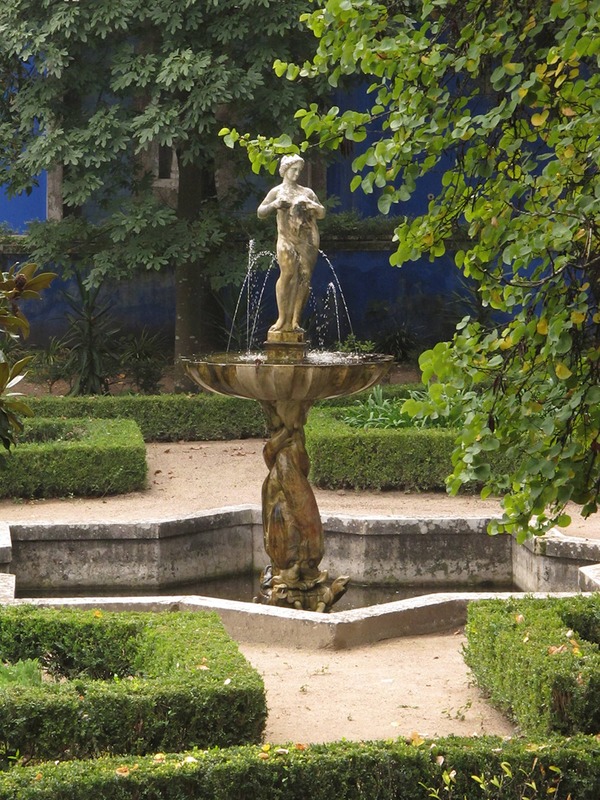 From the Terrace of Kings one enters the Garden of Venus, named after the beautiful star-shaped fountain in the center depicting the classical goddess. 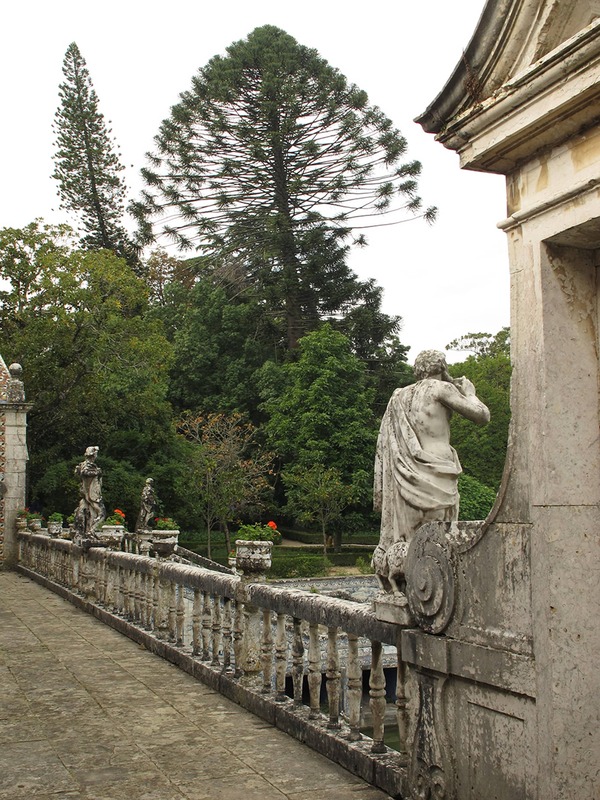 In the 17th and 19th centuries Araucaria trees from the Brazilian State of Paraná (Araucaria angustifolia) as well as colorful Jacaranda (Jacaranda mimosaefolia) were added to the boxwood parterres, converting the whole into a shady garden with views of the formal gardens in the terrace below. 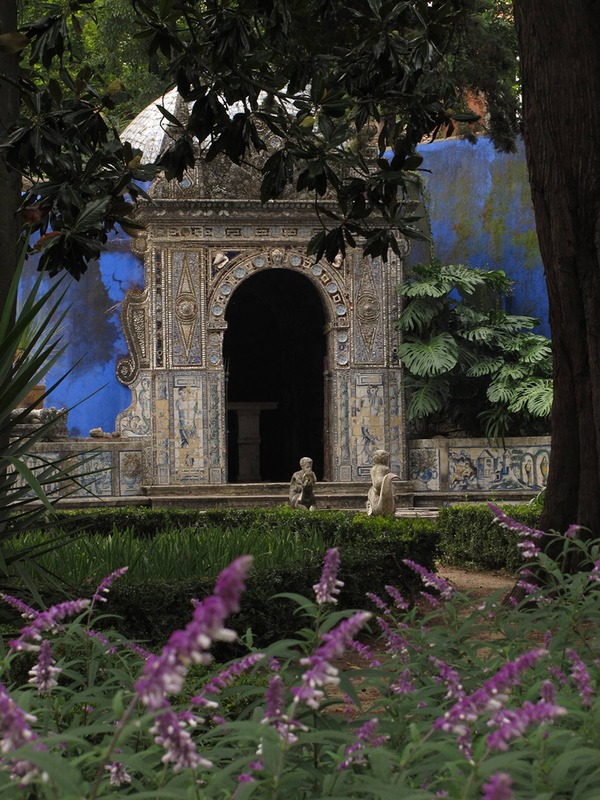 To the south, the garden faces the Casa do Fresco, an elaborate cupola-topped pavilion inspired by nymphaea, which typically housed the sea deities in the gardens of the Italian renaissance. 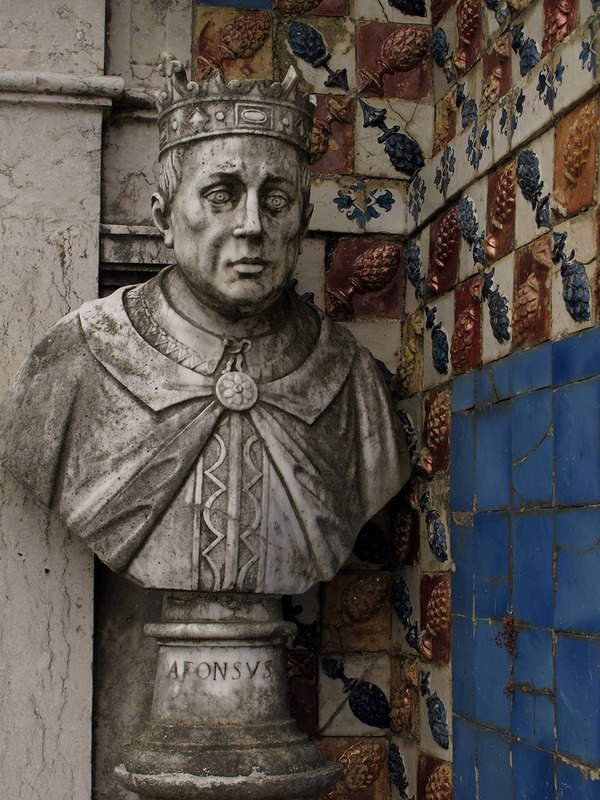 The walls of the small building on the main floor, with its apsidioles of sculptures from the Dionysian world, are encrusted with figures made of shells and pieces of the Chinese porcelain on which the King John IV, the first monarch of the Bragança Dynasty, dined the day of the palace’s inauguration. 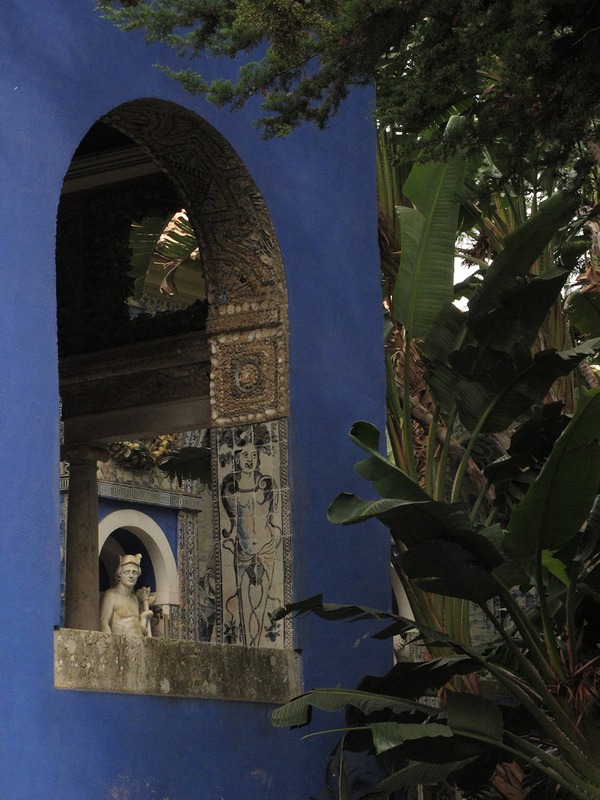 In front of the Casa do fresco, a baroque pool with curved benches adorned in glazed tiles depicting monkeys at play provides a water parterre and completes this space whose use is unclear. 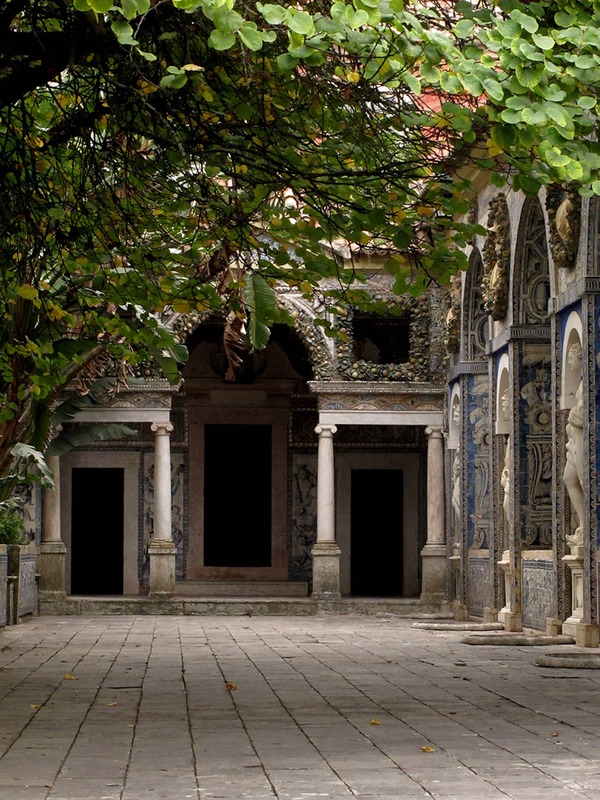 From here a covered staircase leads to the Terraço da Capela (Chapel terrace) which faces a small oratory (private place of prayer) contiguous to the palace. 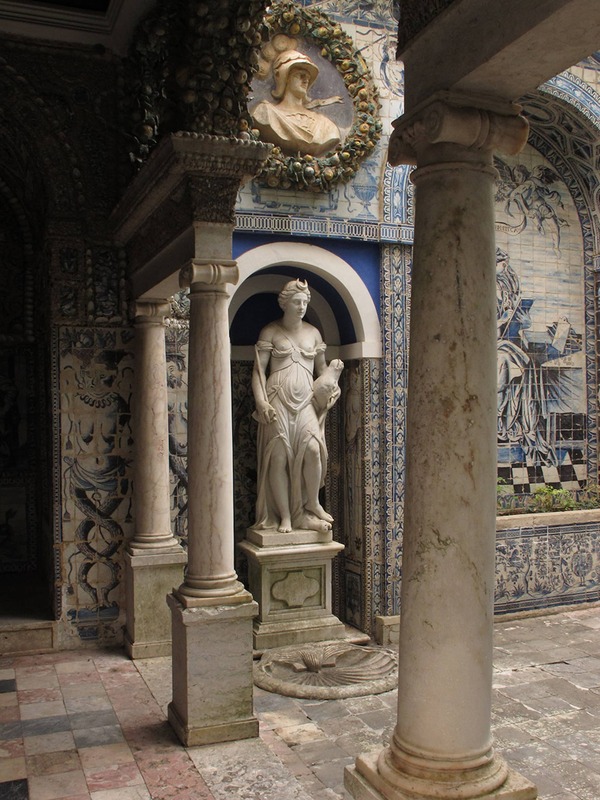 The rich profusion of elements of this terrace, which is lined with Judas trees (Cercis siliquastrum) and affords views of the Garden of Venus, once again transports us to Italy. 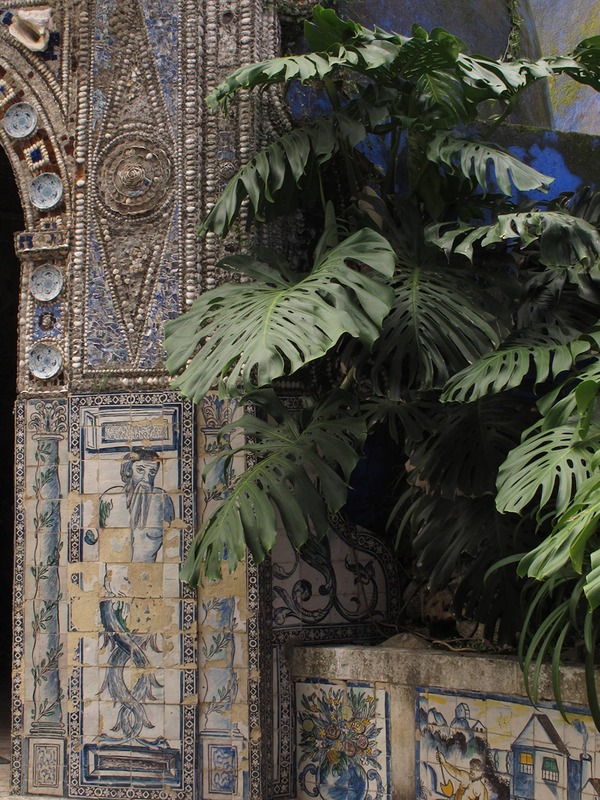 The façade of the Palace is done in tiles and features large marble statues of mythological characters, among them Apollo and the flute-playing satyr Marsyas, displayed in niches and complemented with small fountains and decorative fruit-themed ceramics in the Florentine Della Robbia style. 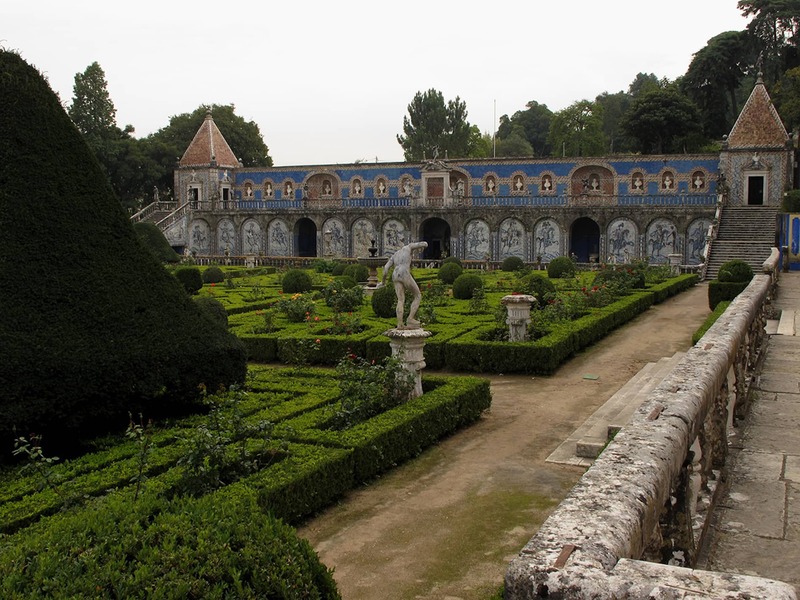 The gardens of the Palácio do Marquês de Fronteira e Alorna are a small cosmos of Portuguese gardening and a masterpiece that no traveler visiting the city should miss.